Archives of Eaton Bray News for November 2017. This article was published in November 2017. 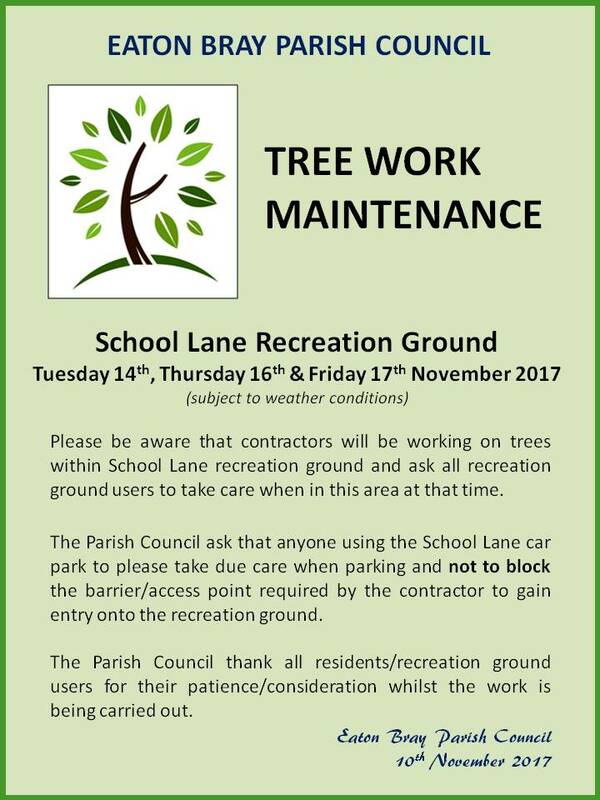 Please see Latest News for more recent information. (the green in front of The White Horse Pub) Cost / Paperwork: It's free to have a stall on Market Square. 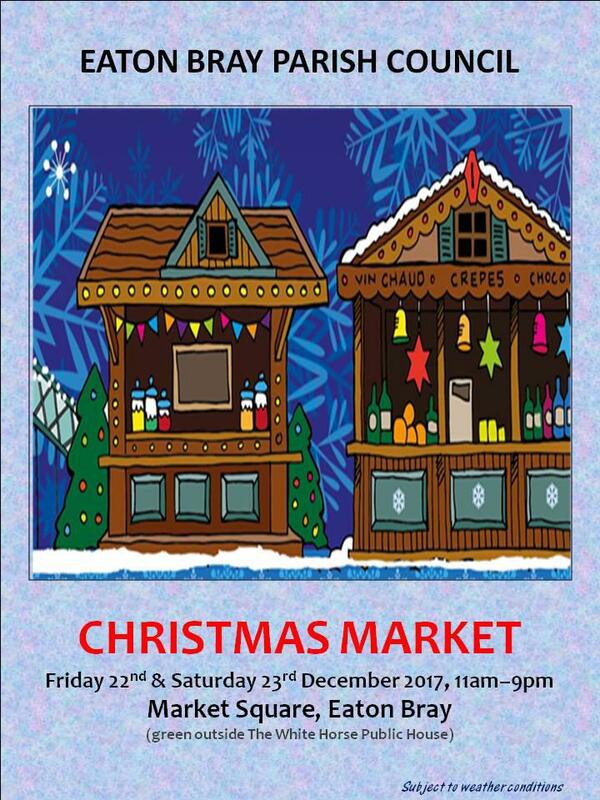 If you are cooking / making food items to sell, please send all the relevant paperwork to the Parish Clerk and ensure you have a copy with you on the actual day/s. No parking or driving onto the Market Square green at any time Car parking: Car parking is limited – please find somewhere safe to park. Please note that there is no parking in the White Horse Pub car park unless you have made prior arrangements with them. 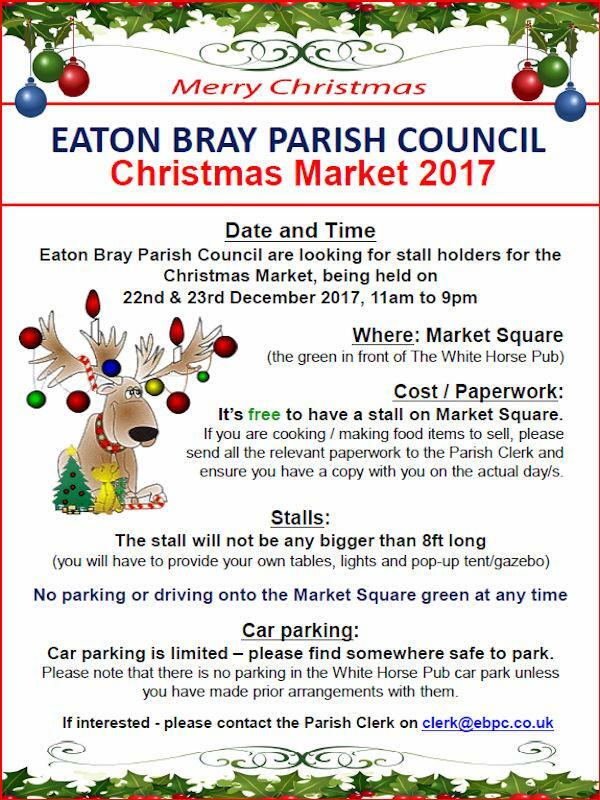 Celebrate Christmas with Eaton Bray Parish Council. 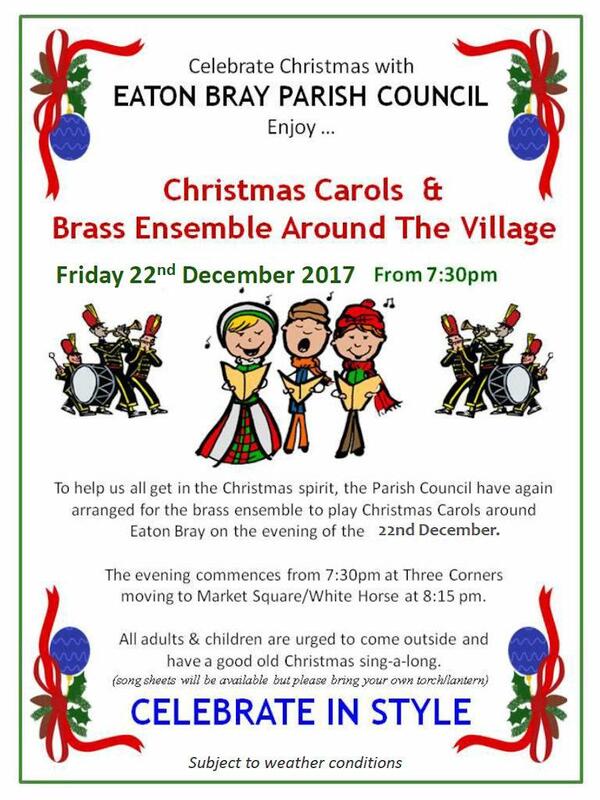 To help us all get in the Christmas spirit, the Parish Council have again arranged for the brass ensemble to play Christmas Carols around Eaton Bray on the evening of the 22nd December 2017. You are viewing the November 2017 archive.